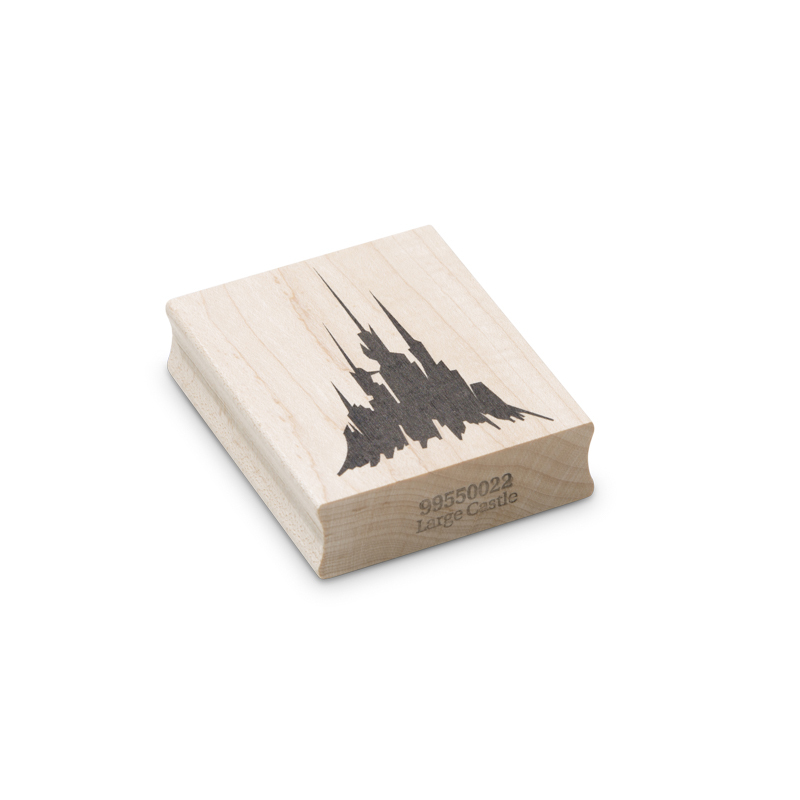 The large castle wood block rubber stamp adds a fantasy structure into your stamping work with encaustic art. 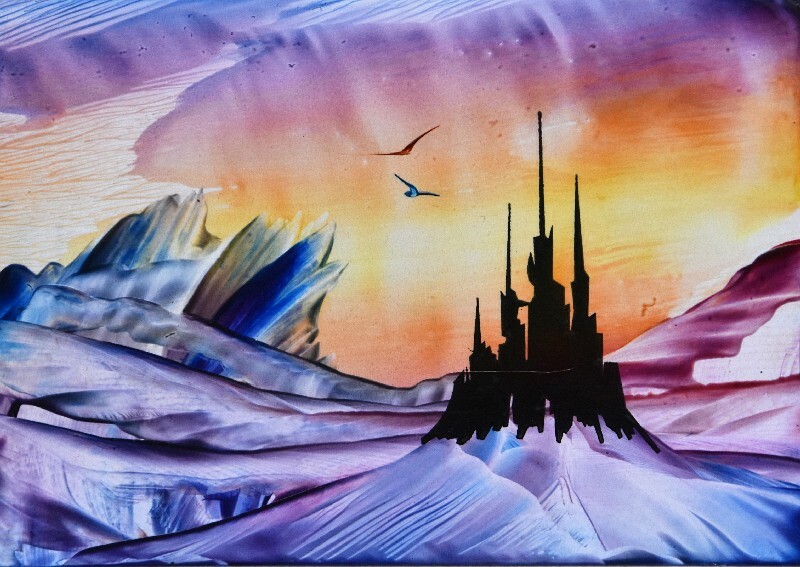 The printed silhouette fits into many landscape fantasy scene pieces. Be mindful to flow wax lines from its bottom corners (as in the image) or use dark wax at the foot of the castle to “anchor” it into the landscape.